In my last post, I talked about the importance of repair in your relationship. 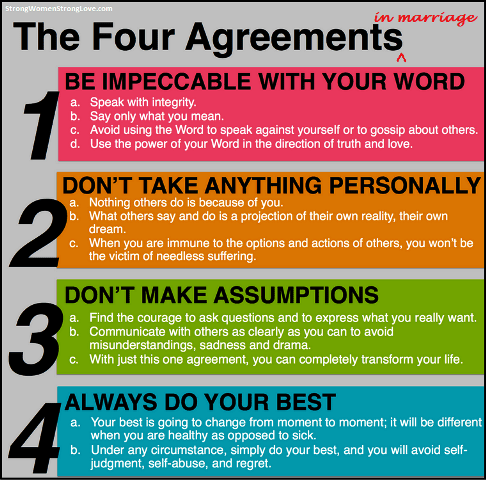 All couples go through conflicts, misunderstandings, and hurt feelings, and it’s very important to resolve them. One of the tools you need in your relationship repair kit is the ability to give and accept an apology. Apologies are so important that renowned psychologist and relationship expert Harriet Lerner devoted an entire book to the subject: Why Won’t You Apologize? Healing Big Betrayals and Everyday Hurts. This book is required reading for strengthening your marriage, not to mention all the other relationships in your life. Apologizing well requires listening deeply to the person you hurt. Your apology should begin by fully understanding their feelings and experience, no matter how difficult they are for you to hear. A good apology also requires taking responsibility. A hurt person wants you to carry some of the pain of the situation with him. She also needs assurances that the same situation won’t happen again. A bad apology can make things worse than no apology at all. Common mistakes people make when apologizing include: making excuses, over-explaining, blaming the other person for your mistake, and bringing up things the other person did wrong in the past. A consistent failure to apologize harms a relationship, even if things are otherwise good. 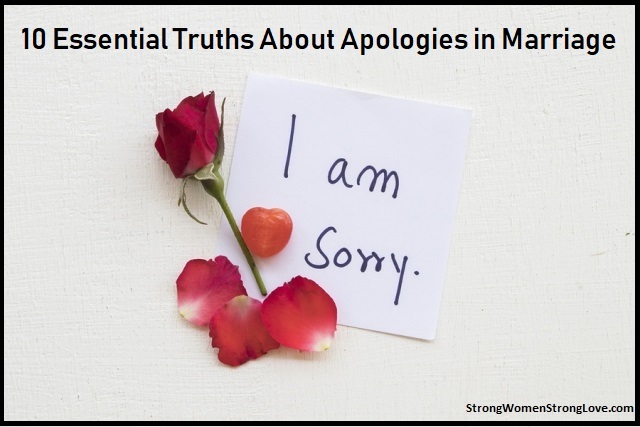 When both partners have the ability to apologize, the relationship is stronger and healthier. An apology doesn’t have to be the last word on a situation. Think of it as opening the door to future communication. In situations where the hurt runs very deep, an apology isn’t a one-time event. At these times, you must commit to ongoing listening and repair of your relationship. Apologizing when you’ve caused deep harm requires a strong sense of your own self-worth. Without it, you’re more likely to be defensive by doing things like minimizing, rationalizing and denying the pain you have caused. If your partner fails to apologize to you, that’s typically an indication of his low self-worth, not that he doesn’t love you. You don’t have to rush to forgiveness after an apology. In fact, doing so can cut short your healing process. Forgiveness also doesn’t have to be total for your relationship to move past the issue. I encourage you to be quick to offer sincere apologies to your husband. Also, be receptive to his sincere efforts to make amends. 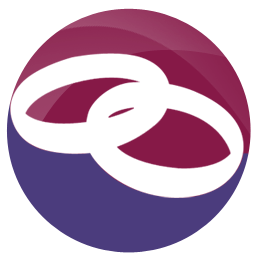 If either partner’s failure to apologize is a trouble spot in your marriage, make it a priority to explore Lerner’s work together. Is insecurity or withdrawal — by you, your husband or both of you — an issue in your marriage? Today, I’ll give you some insight into what might be going on. 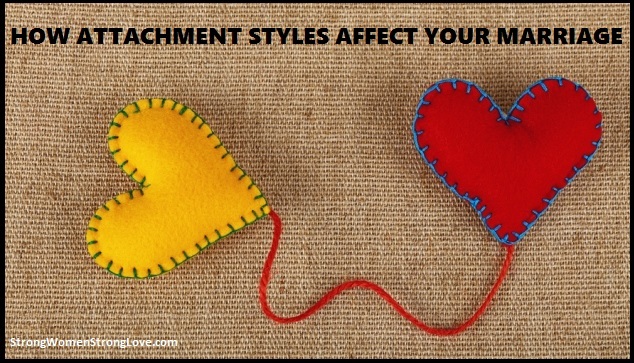 I’ll explore different attachment styles and how they play into your relationships. Your family is actually the very first place you learn about relationships. The experiences you have with your caregivers have a strong influence over how you relate to other people in your life. Understanding your particular style of connecting helps you see what strengths and vulnerabilities you bring to your marriage. If you’re lucky, your early caregivers were loving, responsive, and reliable. If so, you learned that you can trust people and developed a secure attachment style. You’re probably comfortable with emotional intimacy and depending on others, which, as you can imagine, makes it easier to be in a relationship. About 60 percent of people have this attachment style. But what if your parents or caregivers weren’t so consistent? Maybe they were there for you sometimes, but other times were physically or emotionally unavailable when you needed them. These experiences can lead to an ambivalent/anxious attachment style. It’s characterized by feeling unsure whether someone will actually love you and worried that they may leave. People who are clingy or very sensitive to rejection often have this style. Children of parents who were regularly unavailable or unresponsive can develop an avoidant attachment style. They learn to take care of themselves at a very young age. This independence can cause them to have trouble seeking emotional closeness with others. A person with this style may seem like an aloof or uncaring partner. Finally, there’s the disorganized attachment style. It can arise in children who suffer abuse or neglect, or whose parents frighten them because of their own unresolved trauma. These children grow up to become adults who struggle with trusting others, managing their emotions and even feeling safe at all. In reading the descriptions of the different attachment styles, you probably have a sense now of what your own might be. This quiz can also help you pinpoint your attachment style. If both you and your husband have a secure attachment style, that’s great news for your marriage. You have a sound foundation for weathering a relationship’s normal ups and downs. But if one of you doesn’t have a secure attachment style now, that hardly means your marriage is doomed. It’s possible to shift your attachment style. If you happen to have found a secure partner, that may help you to eventually develop a secure connection too. The most challenging situation is when both of you have insecure attachment styles. It’s common, for example, for ambivalent/anxious and avoidant people to couple up — and drive each other crazy. One will cling, and the other will try to get away. Just understanding where each of you is coming from can be helpful. But you may need to seek counseling to protect your marriage and to develop healthier ways of relating. If you’re looking for more insights to help you better understand how your attachment style affects your marriage, I highly recommend Attached: The New Science of Adult Attachment and How It Can Help You Find – and Keep – Love by Amir Levine, MD and Rachel Heller, MA. There’s a great deal of wisdom in that quote from journalist Diane Sawyer. And I’m betting that wisdom played a role in her happy, 26-year marriage with director Mike Nichols. If this sounds familiar, don’t beat yourself up. The fact that you’re being upfront and asking for what you need in your marriage is great. Keep talking about what’s on your mind, but try the communications tweak I’m about to show you. I think you’ll see better results. Before we talk about how to be more effective in your communication with your husband, I think it would be helpful to understand why you’re getting a negative reaction from your spouse in the first place. Think about your goal when you complain to your husband about something he’s doing (or not doing!). You probably just want him to change a certain behavior or deal with a particular situation, right? But because of the way most men are raised, chances are he’s interpreting what you say in ways you don’t intend. Men grow up hearing they must be competent, independent, and do a good job of taking care of their loved ones. They’re taught not to ask for help, so they may not understand why you keep asking them for little things. Because of these messages, men will often react to complaints with irritation or defensiveness, jumping to the incorrect conclusion that you’re just trying to tell them they’re inadequate or failing. Another aspect of how men often get socialized in the U.S. comes into play in how they react to complaints. 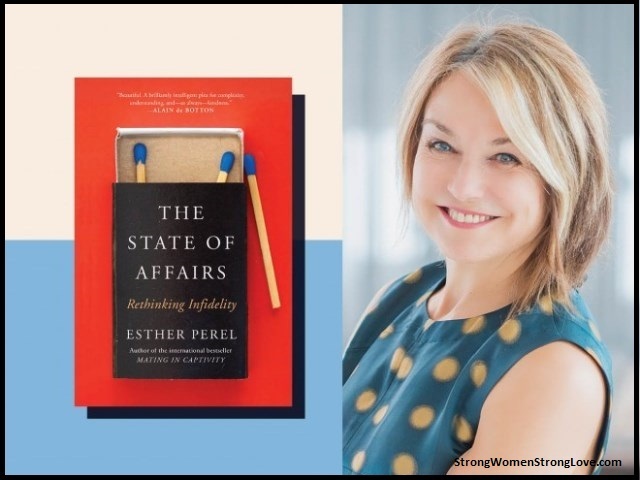 Renowned communication expert Dr. Deborah Tannen’s research shows that in general women communicate to connect, while men typically talk to establish their status. Speaking broadly, men tend to pay much more attention to hierarchy than we do as women. For example, you tell your spouse, “Honey, the trash can is overflowing again!” You just want him to take care of the trash. That’s it. You’re not trying to establish yourself as the dominant one in the relationship, right? In fact, you usually assume that the two of you are co-equal members of the same team, and that nothing you say changes that. However, he may be very sensitive to any phrasing that could seem like you’re trying to “boss” him around or convey that you’re better than him. If he thinks that’s what’s happening, he’s much more likely to be defensive and will get to the trash when he feels like it, not necessarily when you ask. Like Diane Sawyer, I believe that a direct request beats pointing out what’s not working any day. And there’s a way to make requests that spurs your husband to action and builds positive feelings in your marriage. What’s important is how you phrase the request. Right now, you might be feeling a little frustrated. Maybe you’re wondering why you have to do all this work to be heard. Or you’re questioning why he doesn’t just address your complaints so you can both quit worrying about them. I understand. Things would be a whole lot easier if he just “got it.” But waiting for that to happen isn’t the best way to get your needs met, so focus on how you can be most effective in your relationship. How his action will benefit you. Instead of feeling like he’s failing you, or that you’re bossing him around, he’ll feel that he’s succeeding at his favorite role: the competent guy who makes your life better. Do you see how your husband might be more receptive to the request vs. the complaint? Don’t forget to voice appreciation if your husband responds positively to your request, as you would with anyone else. This week, think about something that you frequently complain about in your marriage and try this communication technique instead. Let me know how it goes! If you and your husband are interested in learning more about gender and communication, check out Deborah Tannen’s books, You Just Don’t Understand: Men and Women in Communication or That’s Not What I Meant, You’ll also find many more ideas about understanding and connecting with your husband in my book Strong Women, Strong Love.